Every year at Central Kitsap schools, students learn the importance of giving and gratitude during the holiday season. We caught up with just a few of our schools to catch the holiday spirit! For the first time, Central Kitsap High and Middle Schools and Klahowya Secondary School teamed up to “Stuff the Bus” for Kitsap Stand Up for Kids. Katie Staker, Associated Student Body (ASB) advisor at CK High said, “Our current ASB president, Grace Chun, is very passionate about coordinating service events across campuses.” A school bus picked up donations from each school, and then students packed all of the donations into a truck for the charity. In December, many of our schools placed giving trees in their main offices ornamented with wish lists for families in their communities. Green Mountain Elementary’s “Spirit of Giving” program helps struggling Green Mountain families provide gifts for their children. Many of our schools started food drives in early November to ensure that all families in our community had access to a delicious Thanksgiving meal. Most drives were organized by the ASB groups based in each of our schools. Olympic High School students hosted a November food drive to restock their pantry. Additionally, they hosted their 29th annual Thanksgiving dinner at the Bremerton Teen Center. Community members ate Thanksgiving dinner and left with bags full of food to help them out. 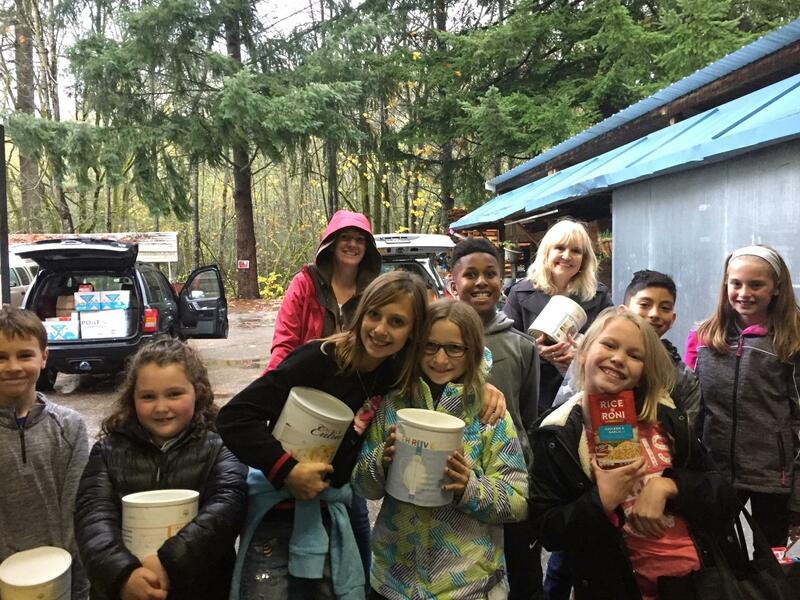 Cougar Valley Elementary School’s ASB also sponsored a food drive to help families in need. Each grade level competed to donate the most items, and the winners were given an ice cream party! We are so proud of all of our students this holiday season—they are thankful, generous, and spreading joy throughout our community.